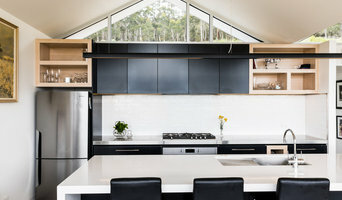 Haven Built is an award winning Tasmanian builder specialising in providing a range of services, including design, new home builds, extensions, renovations and project management. We have trained and qualified trades people to guarantee a high standard of workmanship and attention to detail. We strive to make the building experience a positive and stress-free one. 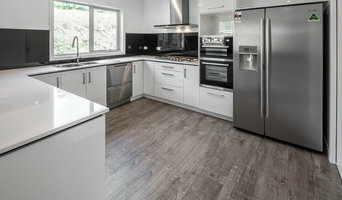 Architectural, residential, and Interior design photography providing quality images for architects, bathroom and kitchen designers, builders, and realtors, or anyone looking to showcase their design and build project. We're not just an online store, and we think that's important. We spend all day, every day in our beautiful Hobart store helping people with their projects. We offer very personalised service and take great pride in that. We're not interested in just selling things and meeting budgets. We want to make sure you walk out the door with what you want and need, and we're prepared to spend time with you asking questions to find out what that is. If you're not able to visit our Hobart store, we still want to offer you the same great service and advice when you buy from us online, so please feel free to call or email us. We've been trading in Hobart, Tasmania for more than 30 years and we love helping people make their homes more beautiful. We specialise in restoration products including door, window and cabinet hardware, lighting, traditional electrical switches, doors, bathroom fittings and tapware, fireplaces and accessories, Pressed Tin Panels and Porter's Paints. Jasmin Latona is a Hobart-based photographer specalising in both architectural and travel photography. She has worked for some of Australia's finest Architects, capturing the dynamics of construction, spatial relationships, lighting and habitability. Jasmin's work has been published in magazines and books such as: Artichoke, Sanctuary, Architectural Review, Tasmanian Life, Monument, Financial Review, Wall Paper, Doors open and Braun: Collection of Houses. 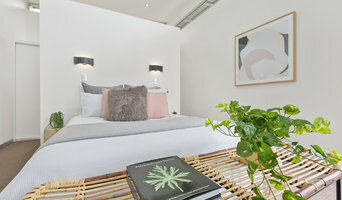 While her core passion is shooting fine architectural design in the ultra-modern genre - inspirations include Sydney, London, New York, and New Delhi - Jasmin also takes her cues from the timeless natural world. From Tasmania's rugged sea and landscapes to the high peaks of the Colorado Rockies in Noth America, capturing the delicate interplay between light, sky and earth have become the hallmarks of her photography. Reach out to multiple professionals — especially for larger projects — and don't settle for the first bid you hear. Comparing multiple Hobart, Tasmania professionals' bids and experiences can help you find the one that’s best for you. Ask a lot of questions now, so you won't have unexpected answers later. 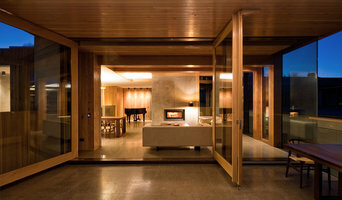 Find a home design professional: Narrow down your search by type of professional and location. Browse Hobart, Tasmania portfolio photos, read client reviews and contact each Hobart, Tasmania professional for more information. Check out the information in the specialised professional sections too for tips on how to hire the right professional in Hobart for your project.